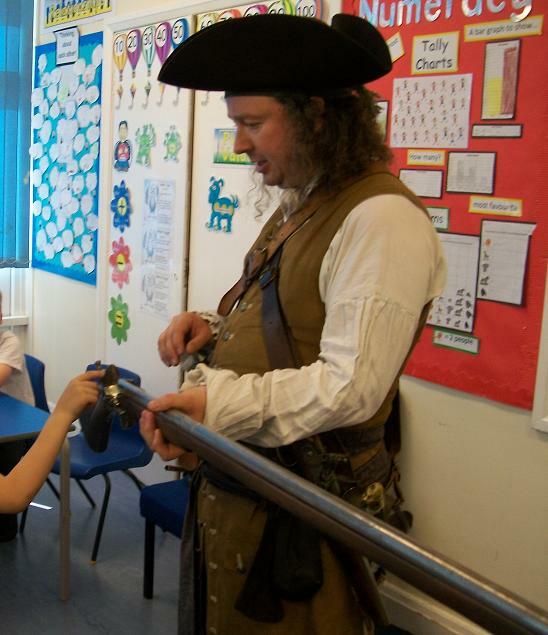 Home » Uncategorized » A Pirate Visits School! 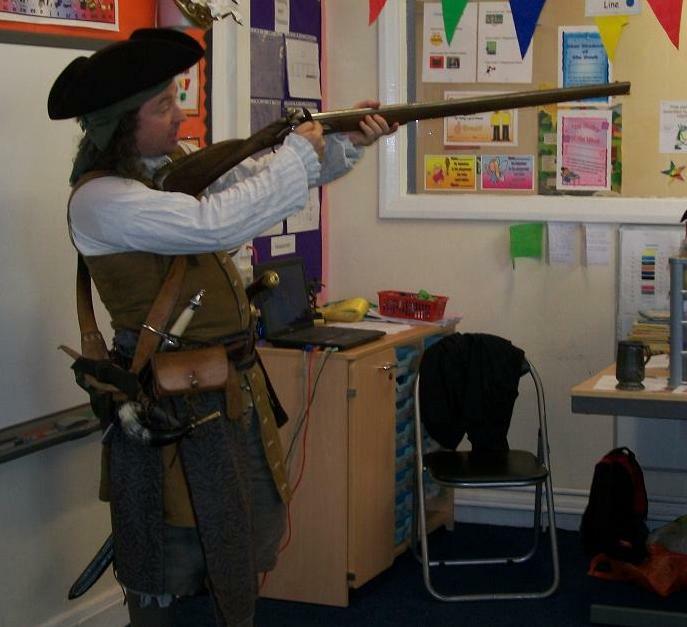 This summer term Captain Burwash has visited more schools than he has visited islands along the coast of the Americas, and thoroughly enjoyed his journey. Below are some pictures from his visit to a Barnsley school only last week. The captain is veritable cornucopia of tales about pirates and privateers, buccaneers and filibusters, and here you can see him about to launch into a story about the famous Blackbeard. Burwash also likes to describe a pirate’s life to the little maids and mannikins, and to show them all sorts of piratical things. Luckily he has all sorts to show them. 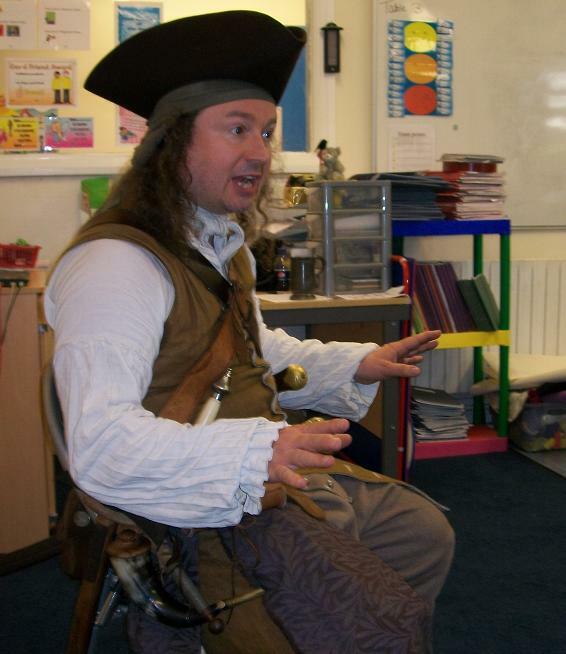 Here he is waxing lyrical about his trusty cutlass. … as well as how it is aimed. 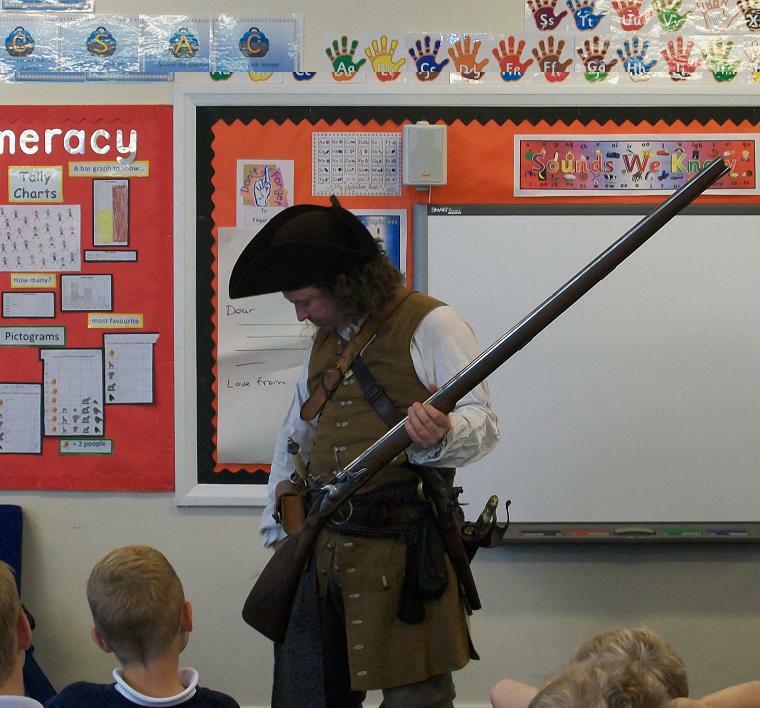 After a sturdy lad had a go at carrying and aiming the musket, another came forward to examine the flintstone, learning that a musket is more than just lock, stock and barrel! 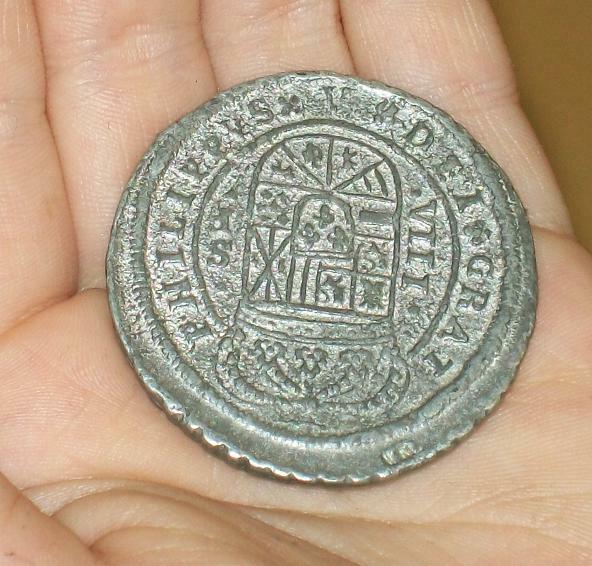 … but perhaps not so happy when the captain collected them all back in! Burwash went on to show them a roundshot and grenado, chainshot and doublehead, a boarding axe, clay pipe, ship’s articles, pistols etc etc. Thank you Sian for these great pictures. I had a fantastic day with all three of your classes. 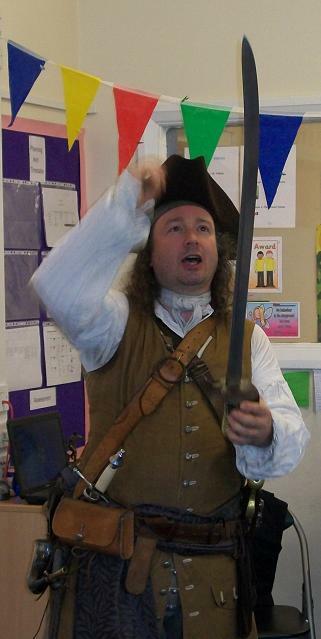 If you want to know more about Captain Burwash, click here.